Winstrol is the very popular brand name for the anabolic steroid Stanozolol, which happens to be in the top three most popular and most widely used anabolic steroids of all time. 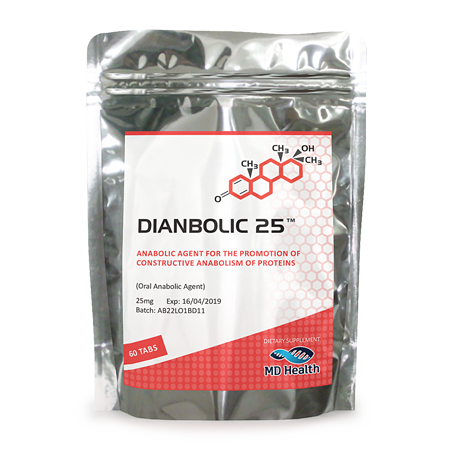 Dianabol (Methandrostenolone) is the first most popular and widely used, followed by Deca Durabolin (Nandrolone Decanoate), and Winstrol (Stanozolol) holds the third place for popularity and use. Although it is third in overall popularity and rate of use, it actually is most famous for being the supposed anabolic steroid that Canadian Olympic sprinter Ben Johnson tested positive for in the 1988 summer Olympics, which happened to be the incident that many point to as the last straw for the legality of anabolic steroids. Winstrol was first introduced to the medical community in 1959, and only 2 years later it made its way to the United States as a prescription drug under the brand name Winstrol. Upon its release, it was classified for the treatment of: tissue wasting diseases, the maintenance of healthy weight, weight gain, osteoporosis treatment, linear growth promotion in children, as well as many other medical applications. Towards the 1970s, Winstrol’s list of approved treatments for medical indications was restricted and narrowed by the FDA (something that had happened to all anabolic steroids around this period of time), and only a small handful of medical indications remained on its list of approved treatments. Towards the late 1980s and early 1990s, many different anabolic steroids had been pulled from the market in the United States and ceased production. Some of the reasons for such a marketing decision included the increased stigma at the time towards anabolic steroids, compounded with the fact that various anabolic steroids were no longer being used in medicine for treatment of disorders/diseases and instead were being used almost exclusively for bodybuilding and athletics. Despite this, Winstrol was one of the only anabolic steroids to survive this pull from the prescription market, but the irony is that although it remains a prescription drug in the United States, there are no current pharmaceutical companies actively manufacturing it. 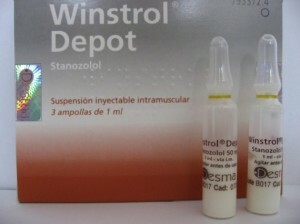 Winstrol is available in two formats: an oral and an injectable. Without a doubt, the oral format seems to be the more popular among users, perhaps due to its convenience of administration. What is very important for the reader to understand, however, is that both the oral format and the injectable format of Winstrol are the exact same chemically – there is no difference between them. This means that while the oral format is C17-alpha alkylated, so too is the injectable format. This indeed does mean that the injectable can be orally consumed. It also means that the injectable format, although it avoids the first pass of the liver when injected, it exhibits a higher degree of liver toxicity than most other injectables. If consumed orally, it should be known that an increase in hepatotoxicity to the same level of the oral Winstrol tablets would occur. C17-alpha alkylation (C17AA) is a chemical modification of an anabolic steroid that enables it to become orally bioavailable, but the negative aspect of this modification is that it causes a degree of liver toxicity as a result. Aside from the C17AA modification, Winstrol is structurally a DHT (Dihydrotestosterone) derivative, which means it is a modified variant of DHT. This allows Winstrol to possess many of the same qualities and properties as its parent (or progenitor) hormone: DHT. This provides Winstrol with some advantages, such as the inability to aromatize (conversion into Estrogen) by way of interaction with the aromatase enzyme – Winstrol cannot bind with the aromatase enzyme and will therefore produce no estrogenic side effects. In addition, Winstrol is granted an anabolic strength rating of 320. This means that Winstrol is 3.2 times the strength of Testosterone, which would mean that Winstrol holds some pretty impressive anabolic strength and its ability to promote lean mass increases are indeed impressive. Aside from this, Winstrol possesses an androgenic strength rating of 30, and compared to Testosterone’s androgenic strength rating of 100, we can see that Winstrol exhibits far less in the way of androgenic side effects compared to Testosterone. Winstrol expresses absolutely no estrogenic activity, very little androgenic activity, and very strong anabolic effects. This allows Winstrol to be quite an impressive anabolic steroid, and one can easily see the reason why it is the third most popular anabolic steroid in existence. With that being said, the majority of anabolic steroid users will tend to use Winstrol as a lean mass gaining agent or a cutting agent (for fat loss). Winstrol is rarely used in big bulking cycles, but it is very possible for it to be included into one, if only because it possesses some considerable anabolic strength. 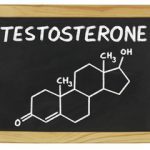 The Winstrol doses required to achieve a desired result do not need to be very high at all, considering the fact that it is at least three times the strength of Testosterone, and as any experienced anabolic steroid user knows, Testosterone is a very powerful anabolic in its own right. 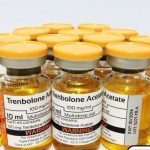 After all, there is a reason as to why Testosterone is utilized as the measuring bar and reference point for all other anabolic steroids in existence. With that having been said, it is important to understand that Winstrol is often utilized (stacked) with other compounds, and as a result, its doses are normally never that high to begin with. Medical prescription Winstrol doses were originally established at 6mg daily for the oral, and 50mg injected once every two weeks. 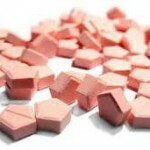 These Winstrol doses are obviously far too minimal to elicit performance enhancing effects, and so it has been determined that for the oral variant of Winstrol, beginner Winstrol doses will normally be in the range of 25 – 50mg per day. 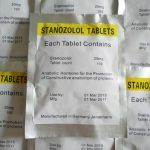 Intermediate Winstrol doses will commonly be seen in the range of 50 – 70mg daily, and normally this will also be the range that advanced Winstrol doses sit in. A compound such as Winstrol should never be run at extreme doses for a variety of obvious reasons. Injectable Winstrol doses must be administered ideally every day, but can also be administered every other day as well (it exhibits a half-life of 24 hours). Beginners will find satisfactory results from Winstrol doses of 50mg injected every other day at the least (200mg/week total), and intermediate and advanced users will venture as high as 100mg every other day (400mg/week) and occasionally higher, although rare. Estrogenic side effects: None. Winstrol is a DHT derivative and therefore is completely unable to convert (aromatize) into Estrogen. It is unable to interact with the aromatase enzyme at all, and therefore no estrogenic side effects should ever be experienced from Winstrol itself at any dose. Androgenic side effects: Winstrol possesses a very low androgenic rating of 30 compared to Testosterone’s 100, which is indicative that Winstrol is actually very mild in regards to androgenic side effects, but androgenic Winstrol side effects still exist with this compound, and might become further pronounced in individuals who are more sensitive to androgenic side effects. Androgenic Winstrol side effects can include: increased sebum secretion (oily skin), increased bouts of acne (linked to increased sebum secretion), bodily and facial hair growth, and the increased risk of triggering male pattern baldness (MPB) in individuals that possess the genetic trait required for the condition to manifest itself. HPTA suppression: Winstrol, like all anabolic steroids, will suppress and/or completely shut down an individual’s endogenous natural Testosterone production for the duration of the cycle. For this reason, it is very important that the user engage in a properly structured post cycle therapy (PCT) program following the end of a Winstrol cycle. Hepatotoxicity: Both formats of Winstrol, oral and injectable, possess C17-alpha alkylation modification, which presents liver toxicity to the user. It is for this reason that oral Winstrol is not recommended for use for periods any longer than 6 – 8 weeks, and the injectable should not be used any longer than 10 – 12 weeks at a time so as to avoid compounding liver issues. The use of additional oral C17AA compounds when using oral Winstrol, or even injectable Winstrol, should be avoided. Cardiovascular effects: Winstrol side effects in this particular area are significant, as studies have demonstrated that Winstrol’s impact on negative cholesterol changes are very unfavorable, especially in comparison to other anabolic steroids such as Testosterone. Not only do negative cholesterol alterations occur, but other negative impacts on the cardiovascular system are also known to be of consequence, such as increased blood pressure and vascular reactivity (vascular stiffness). Internet sources that place limitations on their buyers in the form of minimum order limits (normally a limitation of at least a $200 purchase), but with this limitation comes the benefit of lower overall cost per item. Internet sources that do not place limitations allow buyers to buy Winstrol in smaller order amounts, but at the expense of higher costs per amount. 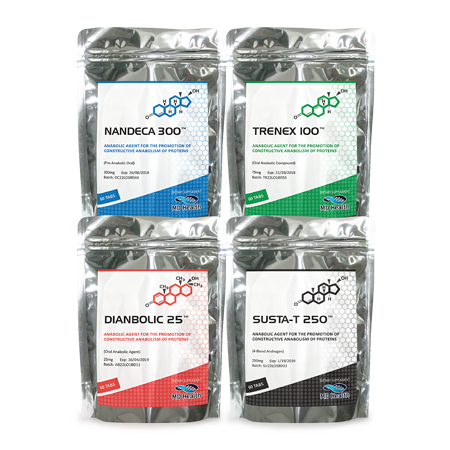 Gym-floor sources are sources that an individual looking to buy Winstrol would know personally, and they normally carry products in the same price range as internet sources that restrict buyers to minimum order limits, and these in-person sources frequently only accept minimum order limits as well. Depending on the source being purchased from, pharmaceutical grade injectable Winstrol can normally be purchased for in the range of $20 per 1ml glass ampoule dosed at 50mg/ml. Underground lab (UGL) injectable Winstrol can be bought for $80 – $120 for a 10ml vial containing 50mg/ml. Those looking to buy Winstrol in its oral format will find pharmaceutical tablets ranging from $1.50 – $3.00 per tablet (50mg tablets).